Revelling in his new home at IRWIN Racing, Mark Winterbottom has shed new light on the reasons behind his split from Tickford Racing and the difficulties of working in a four-car team. 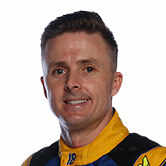 Winterbottom spent 13 years at the Ford squad; a stint that including winning the Supercheap Auto Bathurst 1000 in 2013 and the Supercars title two years later. 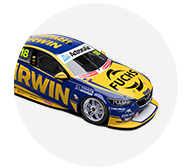 A Ford fan favourite, Winterbottom made a surprise decision to move to Charlie Schwerkolt’s previously under-performing Team 18 for 2019. Armed with a new technical alliance with Triple Eight and fresh recruits, including renowned engineer Phil Keed, Winterbottom has enjoyed a strong start to the season. He sits seventh in the championship after three events, having scored ARMOR ALL Pole last time out at Symmons Plains – his first in 1,000 days – and a best race finish of fourth. However, the speed of Ford’s new Mustang has been the biggest talking point of the year to date, with its success including a pole, a race win and the Larry Perkins Trophy at Albert Park for Tickford’s Chaz Mostert. Asked on Fox Sports’ podcast The Loud Pedal whether the Mustang’s fast-start caused a “deep breath moment”, Winterbottom replied: “Really no. “Because even if I was winning at Tickford, there were things I needed to change anyway. “To have a team with four cars where kind of everyone going against each other was a bit of a toxic environment and I was a bit over that, 13 years of it. “When it’s run properly and controlled it’s OK, but there were just a few things that were starting to aggravate me a bit. “So to go to a team where you hop out of the car, your team manager (Steve Henderson), Charlie, Phil, Stu (engineer Stuart McDonald), all these guys are looking at you, listening to every word you say and just got your back. “It’s really cool to have people who have got your back again. “The Mustang has come out quick, and I expected it to; when you look at them they’re a bloody quick looking car, you know they’re going to be quick. Winterbottom stressed he could have stayed at Tickford, but elected to shift when his calls for change were not being met. “Our team has got some powerful people who I actually tried to get to Tickford and that would have helped my decision in a lot of ways,” he said. After his Sunday win at the Tyrepower Tasmania SuperSprint, Triple Eight driver Shane van Gisbergen praised Winterbottom and Keed, crediting their set-up assistance. While quick to deflect most of that praise to Keed, Winterbottom says a Symmons Plains set-up tweak learned during his Tickford days was at the heart of the matter. 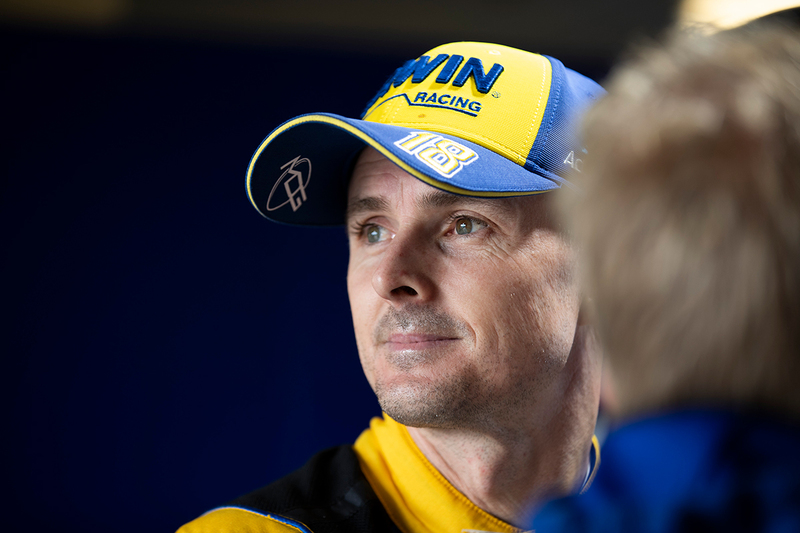 “There’s things in the car; [Triple Eight] have lost the trap spring [under the 2019 rules], so they’re trying to find that feel they’ve had for the last few years,” Winterbottom said. “I don’t know that car with a trap spring, so I’m not trying to get that car back. “I know what I’m chasing... the Tickford car had strengths, no doubt, I know what they were, so I’m trying to just piece it all together. “One thing that worked for me in the past at Tassie, which is a very minor set-up change, I pushed Phil to put in the car, and he agreed, they don’t run at Triple Eight. “They do now, which got them a good result, but the info is going two ways. 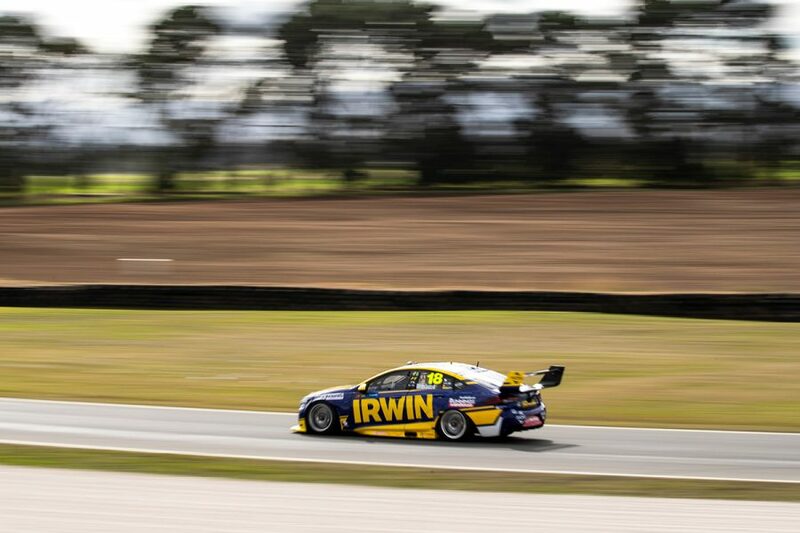 “Shippy (Grant McPherson, van Gisbergen’s engineer) was down in our truck after we got pole, looking at the car, we go back up there looking at their cars too. “It’s really cool that it goes both ways.